EaseUS Partition Master Technician deals with all partition tasks efficiently without data loss. Just a few of clicks to repartition your HDD, SSD, USB, flash drive, SD card, memory card and more storage device well under Windows 10, 8.1, 8, 7, Vista, XP and Windows Server 2016, 2012, 2008, 2003. Reorganize partitions on PCs or Servers to settle down low disk problem and make full use of hard drive capacity. Also keep data security at first. Extend partitions specially system partition on C drive to a larger size to solve low disk problem and speed up your PCs, laptops and servers without restarting. Do careful partition deletion, partition formatting or wipe all sensitive data on partitions to reallocate disk space with high efficiency. Merge partitions into a large one or divides partition into several partitions without data loss for better data storage solution. Change your system disk from HDD to SSD? Transfer data and system from SSD to new SSD? Make an exact copy of a partition or entire disk to another one? The disk or partition cloning tool included in EaseUS Partition Master Technician offers an effective way to clone HDD to SSD easily, clone SSD to an another one or clone hard drive to HDD / SSD, without reinstalling system and configurations for hard disk upgrade and data protection. EaseUS Partition Master Technician helps users to easily migrate OS to SSD or HDD without reinstalling Windows system and configurations to protect Windows system from potential risks. Transfer operating system from HDD to SSD or from SSD to HDD to upgrade your system disk, leave much more disk space for new system installing and speed up Windows system running. 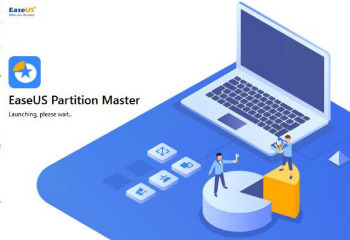 EaseUS Partition Master Technician combines disk partition tool, disk or partition copy utility with fast partition recovery wizard together to manage storage space on HDD, external hard drive, SSD, USB, SD card, memory card and other removable devices for great stability, flexibility and efficiency.